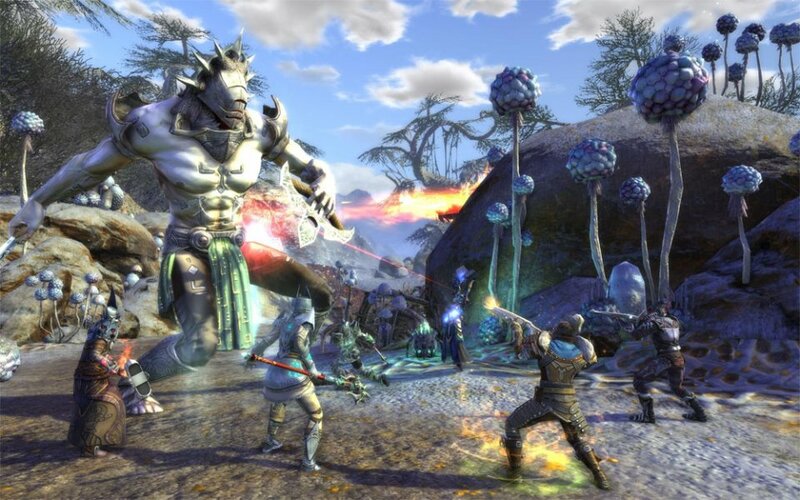 RIFT Free-to-Play, GW2 Updates, and Elder Scrolls Online dungeon info ahoy! The hot days of summer are usually pretty good to MMO players as many MMOs launch content updates during this time. In the past few years this is also a time when many subscription MMOs decide to switch to a F2P mode. This summer looks to be no exception with RIFT going F2P and Guild Wars 2 rolling out quite a few content updates. To cap things off, we have some exciting information on how dungeons will work in the Elder Scrolls Online. What are we waiting for? Let’s get to it! RIFT went F2P back in the middle of June, and from the sound of it, the transition has caused a boom in the player base. The game follows the same format that many subscription-to-F2P MMOs have previously followed: the game is F2P with a microtransaction shop as well as an optional subscription service. Completely free players will have access to all of the base Souls of the game, two character slots, and three bag slots per character. Players who have purchased RIFT in the past get six character slots and five bags per character while players who purchased the Storm Legion expansion also get access to the four new expansion souls (Harbinger, Tempest, Tactician, and Defiler). The optional subscription will make players “Patrons,” giving them microtransaction store discounts, in-game currency drop and mount speed buffs, daily vendor summon abilities and boost packages, as well as priority log-in. I’ve personally been meaning to dive back into Telara for awhile now, but haven’t had a chance yet. Though I’ve heard some floating concerns about the cash shop (some high level gear can be bought, but not the best gear) as well as inflation (due to a form of in-game to cash shop currency exchange), it seems like the public is responding pretty positively. Have any of you guys jumped back into RIFT yet? How are you finding it? 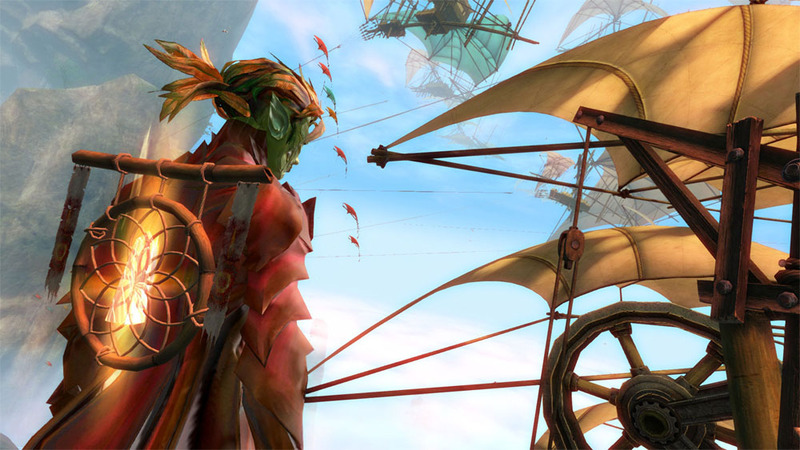 Hot on the heels of a couple content updates already this summer, this week will see the Bazaar of the Four Winds update coming to Guild Wars 2. In addition to the event, complete with mini-games, the update will also bring a new crafting material (Quartz), new PVP map, and an account achievement system to the game. Achievement points will be able to be used to unlock armor and weapon skins as well as permanent account bonuses. It’s been awhile since I’ve jumped into GW2 after getting a bit burned out on it. For those of you who are currently playing, what do you think of the new updates that have been rolling out for the game? Most MMO players who love the PVE and co-op side of MMOs will often be really into dungeons. I’m certainly no exception. Dungeons are usually the toughest PVE content MMOs have to offer and players almost always have to have friends to complete them. So when ZeniMax writes up a whole article about dungeons in the Elder Scrolls Online, color me most interested. 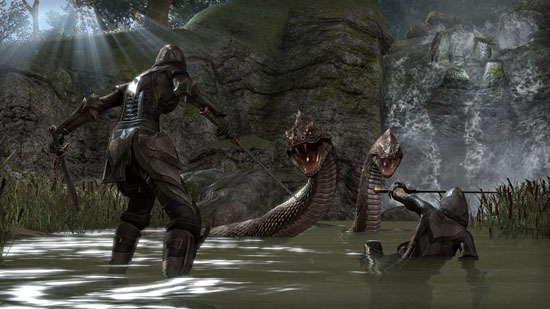 Dungeons in ESO are designed for a full party of four players. Due to the unique skill system of the game, roles may not be as strict as in other games. For example, though players will certainly need someone who can heal in the group, they may not need someone who primarily focuses on healing the party if all of the players can help by healing themselves. The differences don’t stop at the player characters, however - in ESO enemies will behave differently than in a lot of other MMOs. ZeniMax revealed that encounters won’t consist of having all the enemies bash on the tank. There will still be an aggro system, and the tank will want to get hate on the strongest enemies for sure, but the rest of the party members will certainly be taking damage during the fight as well. Players other than the tank will have to block, evade, interrupt, and crowd control enemies that find their way to them. Furthermore, all enemies in a room are aware of each other. When one gets attacked, they’ll all know it. Some reinforcements will attack immediately while others will wait in the back and prepare. Another thing to note is that different enemies will have different ways of choosing their targets. For example, a ranged enemy will be more likely to attack a ranged player character. Sounds like some interesting stuff, and ZeniMax pulls it off correctly it could be insanely fun. We’ll have to wait and see. What do you guys think of these differences from the standard MMO dungeon fare?